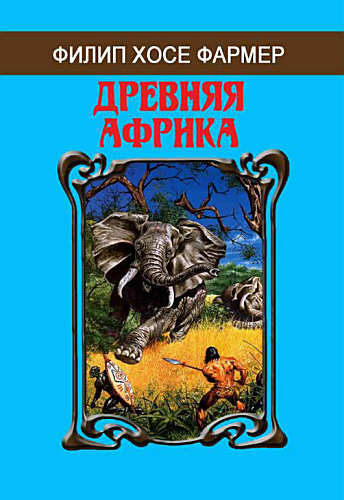 Russian publisher Северо-Запад (Severo-Zapad) in St. Petersburg released in May 2017 the omnibus Древняя Африка (Drevnyaya Afrika). Translated: Ancient Africa. It contains the first two books in the Opar/Khokarsa series, Hadon of Ancient Opar and Flight to Opar, the novel Ironcastle, and finally the three novellas in the Greatheart Silver series. These three were published in the US in novel form as Greatheart Silver. According to Fantlab, a Russian online bibliography, this book had a print run of only 30 copies. I have no idea why this is, because normally the print run of Russian books is between 10,000 and 100,000 copies. I haven't been able to buy a copy. A book shop in Ukraine had a copy but they could not help me. There is no way to pay them in Ukraine. Open Road Integrated Media published in August 2017 seven ebooks with work by Philip José Farmer. Three novels, three ominibuses and a story collection. - The Lovers | Dark is the Sun | Riders of the Purple Wage. This last one is with two novels and one novella. - Riverworld and other stories. This collection includes two extra stories and an essay by Farmer. Till now I have the ebooks on a seperate page with Audio Books & eBooks. This changes with these new publications. They are included on the book page of a title. The older and earlier ebooks will be included on the book pages as well, in due time.